Wikipad 7, the truly dedicated Android based gaming tablet to be launched soon!!! There was a need for a true blue gaming tablet and Wikipad was quick to pounce on the opportunity. If you have tried playing Grand Theft Auto: Vice City Anniversary Edition are ported to touchscreen devices, you will know what I am eluding to. The problem with playing the console games ported to tablets is that they rely on the on screen controls. These controls are known to be inefficient and never as responsive as the console buttons. Nokia had tried it already way back with e-gage but failed miserably for the want of good games to go with the platform. The Wikipad is a probable answer to the gaming addicts, in response to shoddy controls in some tablet games, especially those that have been ported from other platforms. The Wikipad 7 has been classified as a gaming tablet thanks to the detachable gamepad controls that it comes bundled with. The specs of Wikipad 7 are also made compatible to handle the regular games available on Google Play. The Wikipad 7 will have a 7-inch display with a resolution of 1280 x 800 having a pixel density of 215 ppi. It will run on Nvidia's Tegra 3 chipset and have a 16GB of internal memory which in turn is expandable through a microSD card slot. It runs on Android 4.1 Jelly Bean out of the box and has PlayStation Mobile certification, which lets it run PS-certified games. With the inbuilt Tegra chip, the tablet can also access the TegraZone. 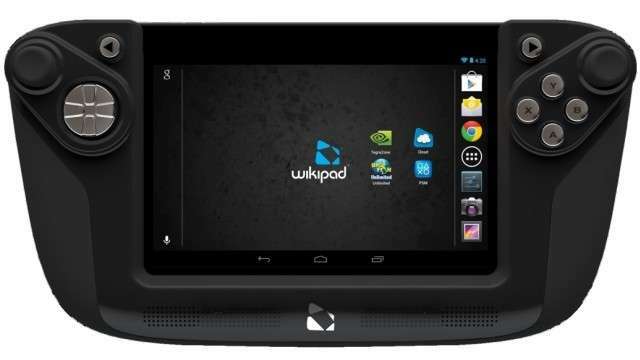 The Wikipad 7 will be hitting the stores on June 11 as per the company release and will cost $249(Rs.14000.00) which is a cheaper option then buying a high end smartphone. So if you are hooked up to gaming, here a new device worth waiting for. When will it be launched in India?